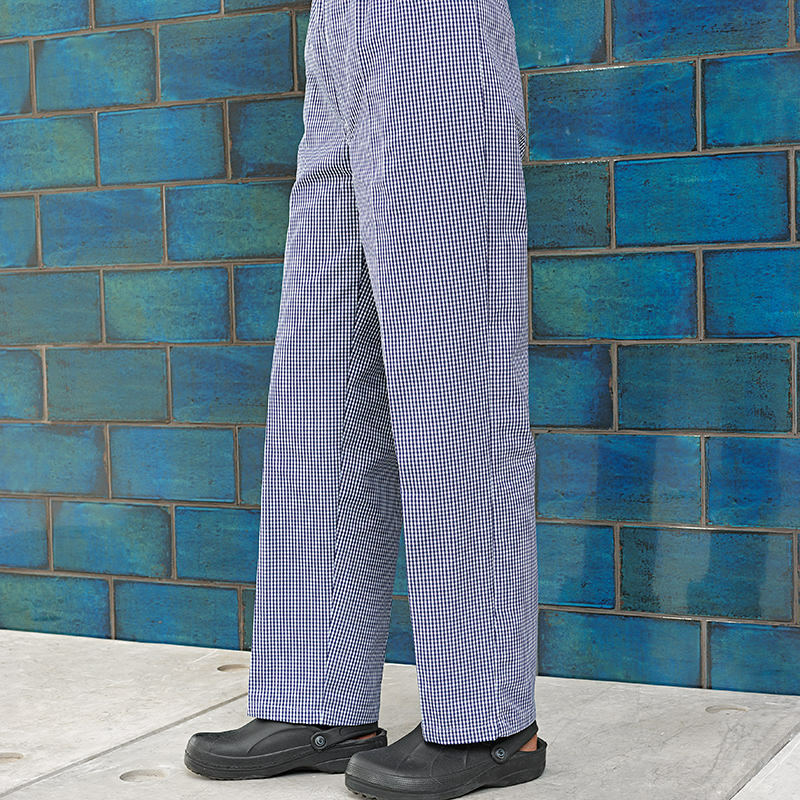 A traditional chef's trouser available in two popular colourways. An easy-wearing comfortable pull-on style with an elasticated waist and zip fly. There is a useful rear patch pocket.